Trump's "Make America Great Again" finds its pre-echo, Diduck shows us, in the mid-nineteenth-century campaign to "Make America musical" - a campaign in which musical instrument design was inflected by a rising commercially oriented patriotism, Here, gathering ideological movements to foster American national character, infused with the Protestant ethic and ideas of the "Melting Pot," were routed through music as the burgeoning piano-manufacturing industry responded to the search for instruments by which to cultivate hard work, individualism and equal opportunity. Pianos, Diduck notes, "were the ideal musical machine for the job". The history that emerges then, is one that weaves between "cultures of claviocentrism," the industries and industrial bureaucracies that sprang up to support the triumph of the keyboard, and genealogies of musical automata and the methods of synchronization on which they depended. That extract but not the photo comes from Georgina Born's introduction to Mad Skills: MIDI and Music Technology in the 20th Century by Ryan Diduck. This important book is far more than a history of MIDI technology, and its wider view on the impact of dominant technology platforms is very relevant to the genealogies of musical automata and methods of synchronization practised by YouTube, Facebook, Spotify and their peers. 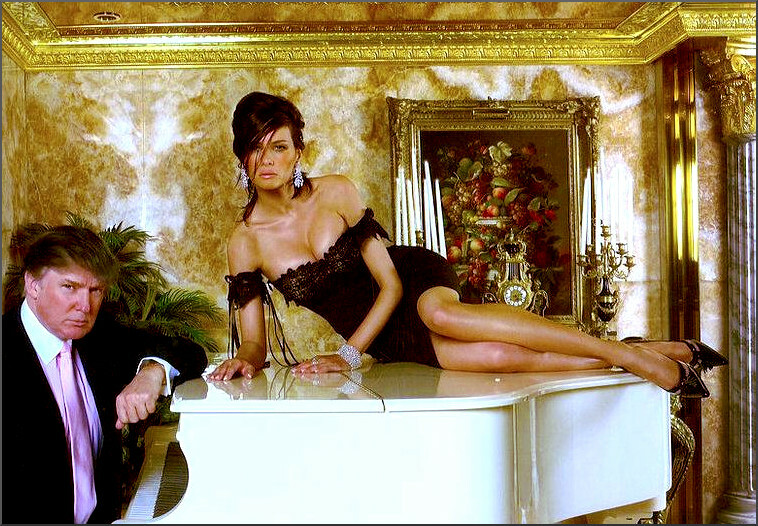 Fortunately Donald and Melania are not alone in making America musical again. John McLaughlin Williams tells me that on April 7th his colleague James Blachly is conducting the first complete US performance of Ethel Smyth’s opera The Prison - more in this interview. A recent comment by Graeme explained that 'What irks me is that if Radio 3 really meant what they say about women composers, including commissioning 50% of new works, they should do a concert performance of The Wreckers, or another BIG piece, rather than just token bits and pieces of work'. The programme for the 2018 BBC Proms with added gender equality will be announced on April 19th, and James Blachly and his Johnstown Symphony Orchestra have set the bar for BIG pieces by women composers admirably high. Header image is from Melania Trump's Facebook videos via CNN - be careful what you share on Facebook. Any copyrighted material is included as "fair use" for critical analysis only, and will be removed at the request of copyright owner(s). Also on Facebook and Twitter.